Why make a small-sensor mirrorless camera? There have long been rumors that Nikon would make a mirrorless camera with a roughly 2.7x crop, causing a degree of confusion about why it would base a system around a sensor so much smaller than its rivals. We can certainly see why it would make sense for Nikon. In this opinion piece we try to look at why the company might have made this decision. We are not saying whether we think it is the right or wrong move, just proposing what the company might have been thinking. A lot of the company's recent success comes from its DSLR business. It also has a great many customers with significant investments in its F-mount system, who are unlikely to appreciate any sign that Nikon is anything less that 100% committed to the F-mount for high-end photography. If you accept that Nikon has to produce a competitor in the mirrorless market, you would also have to conclude that it would want to do so in a way that wouldn't risk jeopardizing its DSLR sales. Producing a relatively small sensor mirrorless system provides a middle ground between compact cameras and DSLRs - precisely the kind of need that Panasonic, Sony and Olympus have been explicitly targeting. It's a market of people who would never buy a DSLR and (if they behave anything like entry-level DSLR buyers), probably won't buy other lenses either. Nikon is certainly making clear that it's aiming at Facebook shooters - people who enjoy photography but don't necessarily consider themselves to be photographers. The 1" sensor allows the Nikon 1 system to fill a gap in the company's lineup without risking damaging its own DSLR sales. Even with a sensor significantly smaller than the ones used by those other brands, a 1" sensor camera is still likely to offer better image quality than a high-end compact such as the P7100 can give, so still represents an upgrade. To put it in context, the Nikon 1 system's sensor is 4 times bigger than the one in most compact cameras and 2.5x bigger than the 1/1.7" type used in expensive enthusiast compacts. However, it is only half the size of the sensor in a Micro Four Thirds camera and one third the size of the APS-C format used in most DSLRs. This is likely to mean more noise and less control over depth-of-field but the smaller, lighter lens elements should make it easier to make it to focus quickly. The Nikon 1's 'CX' format sensor sits between the conventional compact camera sizes and those used in DSLRs and Mirrorless cameras. 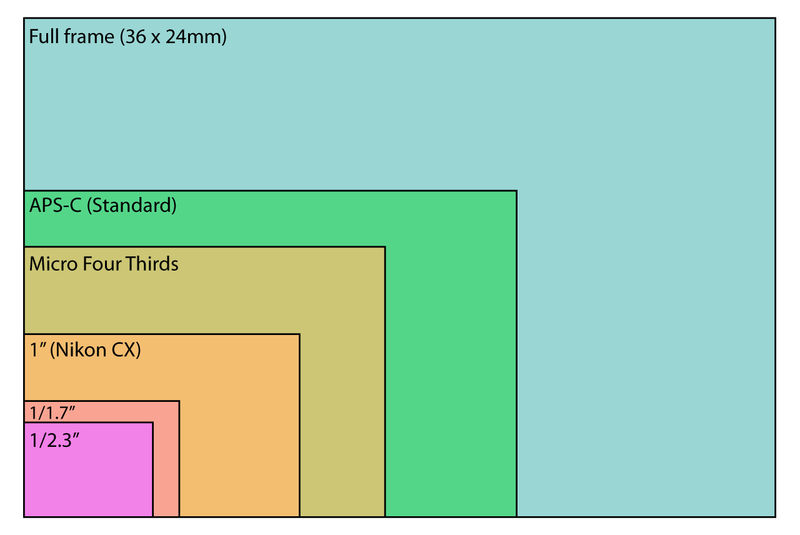 Such a system should also have a distinct size (and potentially price) advantage over the larger sensor mirrorless systems (though the V1 and J1 are not as small, nor anywhere near as cheap as you might think they could be). Given the strength of the company's brand perception in some markets, this could work well for Nikon, even if the smaller sensor is likely to mean lower image quality at high ISO than its larger sensor competitors. "What do you mean, this one has a smaller sensor?" If bringing multiple sensor sizes into the mirrorless market ends up seeding customer confusion about mirrorless cameras' capabilities (especially in markets where such systems haven't yet become a success), this would only serve to benefit Nikon's DSLR sales. I purchased a Nikon v1 because I wanted a lighter gear for when I travel and I operate one-handed due to my disability. My issue with the v1 is the very slow boot up time on power on. My wife can't or do not have the patience for it to come ready she would rather use her cheaper P&S Panasonic Lumix because it "works." I own 3 DSLR and several AF & MF lenses. I really would like to have smaller version of my enthusiast DSLR that is fast, easy to tweak compact camera with great IQ. This is my wish list. Nikon should focus on fulfilling the needs of the customer while improving their overall sensor cost through volume across segments. This is what the PC industry have done successfully. I understand the cannibalization concern. Customers like myself tend to participate in two or three segments of the markets because of our needs and budget. Technology has always brought new features and benefits from the top then shift them or cycle through the other lower market segments. i would like buy a mirrorless camera (APS-C or FF) from Nikon, like EOS-M with adapter for my nikon lens; that would be my second body, or primary if i want exit without all "circus". Nikon has his reasons, but i'm planning to sell my all nikon lenses and body and buy Canon (or Sony with new Alpha 7). now that the rx100 exists, more compacts (and pureview-ish phones) will follow and nikon will feel increasingly stupid. To be honest with you, this isn't the sort of product that benefits from endorsement by you and I and our D300's. People that see our photos and go "ooh, that's nice" will go buy a D3100 or D5100, because they think DSLRs are the best thing since sliced bread. The kind of people the J1 is aimed at are the people that come into a camera shop with very little idea what they want, or who have seen a few Nikon TV adverts, and we have to answer their questions and do the rest of the work. What Nikon really need to do is make it more attractive for me to sell - I don't like it, I don't want to inflict it on other people, none of the Nikon reps have been able to excuse the 1/60 shutter speed in 60fps mode that gives you a ton of blurry action shots, and to be honest I'm not mad keen on bringing my customers into a system with such limited potential for aftersales, unlike micro four thirds. I move customers over to Olympus or Panasonic every time. IBM introduced the original PC with a keyboard layout that was intentionally inconvenient, since it did not want to hurt its own DisplayWrited" dedicated word processing computer. The result - everybody else has a PC compatible computer, with better keyboard layout, the DisplayWriter died anyhow, and when IBM finally realized its mistake and introduced a better PC in the form of the PS/2 line of computers (with an excellent keyboard) nobody really listened - they were all usign Compaq and Apple computers anyhow. Unless Nikon wakes up and notice that they are not the only camera manufacturer, it will lose the mirrorless interchangeable lens camera market - at that point, the DSLR market (except, perhaps for the top professional slice) would become the mirrorless interchangeable lens camera market, but everybody will use µ-4/3 and Sony lenses. They would have no market to defend anymore. Nikon looked at the Mac and the Iphone and said lets make a camera for that market. Those people like to make a casual records of their fun times and they pay higher prices for cool products. We will subtly emulate the Iphone type designs and subliminally suggest Steve Jobs in our ads. A whole new generation of affluent photo sharers will follow like the Iphone zombies. If that doesn't work we will lower the price with kit packaging and sell them to all the nikon faithful who will thank us because they are sick to death of carrying three pounds around to take pictures at the dog park and the soccer game. Thats it, Thats all there is to it! I am not being cynical in fact I want one. Does not the iPhone already come with a camera builtin? I have an iPhone 3GS, and I have no desire for the Nikon 1 system. Well the market is right, price wise too, there are hobbiest who can spend more than on a compact. If it is within 20% price of the enthusiast compact (typical 350£) then it is ok to me. I think J1 is in the same price bracket. The only thing they should do is to pack a better kit lens. P7100 got 7x zoom, D3100 got 3x kit, this one should have atleast 5x kit, rest is fine. IQ is good, noise at ISO400 is acceptable, AF speed and burst mode are all good. Just bundle a good kit and its a success! People stop mourning .. I saw you guys crying on every new product launched! "If you accept that Nikon has to produce a competitor in the mirrorless market, you would also have to conclude that it would want to do so in a way that wouldn't risk jeopardizing its DSLR sales." This is the Kodak strategy for success. Remember them? Make sure it's not too good, else people may buy them. Kodak is dying because they overestimated how much time they need for the reorganization, and than the 2008 crash dried up any loans they were planning to get to finance that restructuring. Nikon is just taking the wrong decision because it's too arogant to admit that there might be a competition. And what exactly is that market? Perhaps if you saw this as not a "point and shoot crowd" upgrade but a completely separate market then you would be able to finish your sentence. How many customers are sold on the better image quality of dslr cameras yet regret having to pack it some where? This fits that crowd perfectly. I like the concept but the price does seem about 20% too high. Still if the people here where given a 1 for free and they found it indispensable to the point that they would hate to lose it and then have to cough up the readies to replace it, then Nikon would have proved something. I don't think sensor size is a issue here, often the more precise imaging capture of a smaller sensor help those who don't want to spend too much time agonising over their shots. If you fit the adapter and say a 70-200 VR would you get 10 mps worth at 120 - 540mm?, say for those who want to stick with their D200s and a quiet backup. I think too many of us expected a digital version of a Nikon S. Whatever eventually happens to the mirror in the current reflex systems---there are certain issues that must be mastered before mirrors disappear all together---at least for pros and serious amateurs. Optical viewfinders are still superior to electronic versions for sports photography and photography in bright sunlight. Sony's redux of the old Canon Pellix (pellicle, translucent fixed mirror)---is it better than the old 40 year old version? I haven't heard that it is taking the world by storm. As to the current Nikon V1 and J1--whether Nikon has blundered in purposely downgrading sensor size so that it will not cannabilize their entry level DSLR market--remains to be seen. I think one thing, though, is immediately clear---these cameras are priced too high-by about $300.00. When reading the announcements of the J1 and V1 I was initially disappointed by the small sensor size. But then, like many others, I had anticipated a simple camera rivalling the Leica rangefinders in terms of IQ and sensor size. Instead we get an incredibly fast AF and high fps along with high-res video capabilities. This is simply a new breed of camera, something completely new. A new way of taking pictures - where less depends on the photographer, at least in terms of the timing of the shot. It blurs the line between still images and video. This camera system cannot be directly compared to any other conventional camera system. Its strengths lie in its speed and ability to capture moments even when used by a total novice. This system is simply a completely new concept and I believe Nikon will have to work hard to make it stick. If they succeed, the camera market will never be the same again! 1. What makes nikon 1 so unique for "new era" of digital videophotography? Is this a 1st camera in the world which provides high fps rate or instant phase-detection AF? Is it required to invent new lens mount to implement these features? Does new system gives Nikon a true technology advantage over competitors? Do customers know that they new need these "new era"-technologies? 2. Shouldn't Nikon update its amateur DSLR line first (by providing nikon-F compatible APS-c sized mirror-less camera system), before opening "new era" marketing niche? All this would be great if prices matched sensor size ... but as we've witnessed with the launch of the J1, we have a RIDICULOUS situation where I can buy a DSLR like the D3100 for SIGNIFICANTLY less than the J1 AND enjoy all the benefits of lower cost lenses, more choice etc ... the only real sacrifice (to a non pro) being its a slightly larger camera to carry. Price them correctly and/or fit a 1" sensor in something the size of the Canon S95 (forgetting about interchangeable lenses) and I'm hooked; but it seems the manufacturers are keen to bring out interchangeable lens cameras (especially in this case) as an extra income source (for lenses) .... although surely not everyone is stupid (or rich) enough to buy ... are they??? Smaller camera's please, no interchangeable lenses, bigger sensors, REASONABLE prices! Can F-Mount lenses be used here? Yes, F-mount lenses can be used if you buy an additional adapter. This adapter costs several hundred $$$. But at least you're able to use both AF and VR on the F-mount lens! It would look quite ridiculous to pair a J1 with something like the AF-S 70-200 f/2.8 VRII though. What is someone who is looking for a camera that takes great pictures to do??? Nearly every comment is negative on most every camera. I come to these sites for help. Is there ANY camera worthy of praise?? I just want to purchase a camera, point and shoot or DSLR that takes great pictures AUTOMATICALLY. I know nothing about aperatures or anything. Please help!! sure, some are better the others. but if you want 'good pictures' (what does that even mean!? ), you will have to learn how to use a camera. END OF STORY. No camera will take great pictures automatically. Photographers take great pictures, the type of camera you have doesn't matter that much! There are loads of excellent cameras. You ought to check out the Pentax K-5. It is smaller and easier to use than most other higher-end DSLR's, and it's quality is equal to all (actually better than most) other DSLR's in it's class. Plus it has a green "auto-everything" mode that will do a great job in most situations If you can carry a Sony NEX-5, you can carry a K-5 just as easily! The only way to get GREAT pictures consistently is to become a GREAT photographer! Did you think it was like a TV set and you just turn it on and get a great picture? Oh, to be constantly suffered fools in the Photo Arts field. They want instant greatness just because they have a little money. All at great prices (especially eBay) and all the best (IMO) in their class. NB I have tried MANY camera's, P&S and DSLR and I own all the above, so I recommend from experience. This forum is supposed to be of assistance to people of all backgrounds and not a turf-war between different brands. I believe that there is no camera in the world that automatically takes good pictures. However, with the Nikon 1 system even a novice is assisted in one crucial area where no other camera system (as far as I am aware) can help: the timing of a shot. With 60fps you can be sure to have caught the moment and if the autofocus indeed keeps up as Nikon says it will you will soon be able to capture moments. What you'll need to learn in that case is foremost framing, composition and lighting. But the Nikon 1 system is a revolution in the photo world - if it will stick! Nerak, look at the 'bad' photos you have taken and ask what has spoilt them? Are they out of focus? Was the action over by the time the camera had captured the shot? Or maybe the real action happened just after you took the shot and so you missed it? Was the picture too dark or too light? Was the subject too small in the frame? Did the end result simply not seem like what you had seen in your eye? Maybe you never even took the shot because you left the damn camera at home since it was too bulky. For all those problems I think the Nikon 1 would be a great help. But if you look at your photos and think, "Jeez, I wish it showed more dynamic range", or "great shot, if only the chroma-noise was less obvious in the shadows", or maybe "beautiful expression on her face, shame the bokeh spoils it", then maybe you need a D-SLR. When is Nikon's Board going to hire Leo Apotheker as CEO? He's available and he'll take care of everything! He'll discontinue the J/V 1 in about a month, get rid of the low profit hardware business and move Nikon into software by purchasing Adobe...! And people will be buying Nikon J1' like crazy for $99 for their mothers and grand mothers. Couldn't agree withbyou more...as I type this on my Touchpad. But wait Meg Whitman may be available in a few months. You never know. And of course what about Lytro? What happens when they launch? will photography never be the same again? 1. For the compact camera user, the sensor is bigger, not smaller. 2. For the compact camera user, this camera is screamingly fast. 3. There are many more compact users to "upgrade" than DSLR users to "downgrade." 4. Whether this market realizes the value of the CX remains to be seen. If CX delivers as promised, the fast response closes an enormous performance gap between the "highest-end" compacts vs. "lowest-end" DSLRs. That alone could make Nikon CX the choice of soccer moms because it offers something you can't get on any other "approachable" (not "affordable") camera. Then consider affordable high-magnification low-light lenses like the new $250 50mm f/1.8 DX (think school performances, high school sports; see a trend?) and I would buy one for my wife, whose bridge camera is "too slow." Notably, she's never wanted to get the "out-of-focus-background thing" known by the DPR crowd as shallow DOF. Makes perfect sense that not everybody cares about DOF. Wasn't there some other thing sensor size helped with? What if the lighting isn't that great and your kids look all grainy with red, green and blue dots all over their faces, or blurred cause the shutter had to stay open longer, just because you picked a camera for its processing speed, instead of one that takes better pictures when the light isn't perfect? One that is the same size and less expensive in spite of higher picture quality? Have you seen any high iso pictures from one of these cameras? Have you ever used a contrast detect detect autofocus camera, with a dx sensor, in poor light or on a moving subject? Are you employed by a rival brand? Did you only join Dpreview to be rude about this product line? "Wasn't there some other thing sensor size helped with?" The benefits of a largER sensor will help anyone upgrading from a compact camera. These people would have 4x more sensor area than they do today. Oh, and for low light, CX can offer 135mm equiv at f/1.8 for reasonable money. To get that on APS-C will cost more than a CX system--for the lens. Even a slower f/2.8 will be $500 or so. The Oly XZ1 is one stop slower f/2.5@112mm equiv. with a smaller sensor. "Oh, and for low light, CX can offer 135mm equiv at f/1.8 for reasonable money. To get that on APS-C will cost more than a CX system--for the lens. Even a slower f/2.8 will be $500 or so. The Oly XZ1 is one stop slower f/2.5@112mm equiv. with a smaller sensor." Is a "soccer mom" going to bother to understand the type of arguments put forward quoted above, consider and buy different lenses, or is she going to stick with the (slow) kit as 'good enough'...or more likely buy a bridge camera that has 10fps shooting and purports (truthfully or not) to be "ideal for sports photography", w huge range lens and half the cost. Who knows? Let's see what happens in 6 months, when we get an idea of stock on the high-street, which way prices are going, and inevitably, what other manufacturers are doing in reaction. I'm fascinated w the idea of the 1, like the size, like the tech, even like the industrial design which to me won't date. But app I'm not the target market for this thing. What if DSLR buyers who were not hoping for a cheaper, but simply a less clunky (meaning big and heavy) high quality camera from Nikon will be so disgusted with this type of conniving ploy, they'll go out of their way to buy a different vendor's DSLR next time? If you base your selection of photography equipment solely on sentiment rather than sensibility and a careful study of your needs and wants, then no technical discussion will help your choice. I think the Sony NEX-7 almost makes a good case for switching systems. I like how Sony puts their "best" into both of their systems. I can't even consider the Nikon 1 system because of how small its sensor is. Too much noise! Hey Nikon-Dumb, ugly and expensive. What were you thinking? These are going to sink like stones. As its all a roiling sea of speculation right now about the "why" and "wherefores" of developing this size, I'd like to add my 2cents - Firstly well done Nikon for upping the ante for all. Their decision seems very marketing and sales platform led - producing a distinctive a category as possible to minimise PRIMARY-choice cannibalism of sales from their compacts (Potential purchasers of even top-end compact models would likely see the J1/V1 as too expensive, at least at launch), and their DSLRs (potential downgraders would see it as a step too far in terms of potential IQ, camera control, bokeh capability etc). Yet its a great Second choice for Nikon fans taking the next step up from their compacts, or back-up "carry-anywhere" alternative to big DSLRs. And it opens up the arena of customers considering mirrorless whatever the brand - Olympus must be bracing for a fight w their mft models when prices settle, and on-the-fringes models like Samsung NX/Pentax Q? Forgeddabouddit. Increasing the speed of other manufacturer's innovation, while lowering prices. We'll see if Nikon gets any benefit from this release, which amounts to a business strategy ploy, rather than solving customers' problems. But traveling photographers will rejoice everywhere for lower prices and increased specs on their next Panasonic, Olympus and Sony purchases. I still believe that the company who's first focus is on solving customer's problems wins. No amount of branding, advertising spin and conniving will get enough people to overpay for something that doesn't surpass cheaper products that solve their problems just as well or better. "We'll see if Nikon gets any benefit from this release, which amounts to a business strategy ploy, rather than solving customers' problems." Too true - I'd expect Nikon customers to benefit from this release...eventually. I'd expect a lot of the innovations from the 1 to percolate through the Nikon range in one form or another, eventually. And of course some of the more popular will 'inspire' other companies to bring out their own variations of the tech. One thing that I think is interesting is the F-mount lenses can be used with the 1 system. So Nikon at least symbolically stays faithful to their lens mount! This means that at least in theory, you can get excellent optical quality coupled with diminuitive size. Also, the 1 system is likely to be quieter than any DSLR. The big question is going to be IQ - that's what it all boils down to. I'd be curious to see how the '1' range develops over time. Is it possible that the new mount been designed to accommodate a larger sensor in the future (perhaps when DSLR sale drop further), hence the lenses being the size that they are...? Will people hold their breath? When Nikon realizes what it means in terms of sales, profit and market share... they will change the design... pronto. Can't sleep with this thing in my mind - why not "micro-F"?! Design micro-F specs, build at least one smaller micro-F-body, at least one smaller micro-F kit lens, F/micro-F adapter... and "new" camera system is ready. Ready for mass use! Having the perfect potential. And almost for free, comparing to costs of development of "nikon 1" system. Make an impression that Nikon is consistent or even innovative company, which tries to satisfy customers expectations. Let people dream of new products, hit competitors with customers expectations of new system. Restore status-quo in micro-SL(R) market, instead of inventing "new" one. This idea looks so obvious that I cannot imagine that "micro-F" will not be introduced slightly later. I cannot explain myself why one of the biggest manufacturers having so many customers didn't chose such easy and mutually beneficial way. Does Nikon have some non-aggression deal with Sony? Any IP (intellectual property) issues? Whatever? My favorite cameras are the Panasonic Lumix G1 and Nikon D90. I love the versatility of the G1 and its 17.3 x 13mm sensor size. The market that Nikon is targeting is clear, and 'Enthusiast' is a marketing concept created by camera manufacturers. With the expanding mirrorless interchangeable lens camera market, a new niche has been created with the V1, J1 and the others that will inevitably follow. With whatever small sensor image IQ and NR technology they come up with, a larger sensor is better. That's the math, and that's the science. Period. So, thank you Nikon, I'll stay with my G1. why do you like the G1 better than the G2 and G3 ? Nikon is in dire need of industrial engineering, lets make the P6000 bigger, lets make a 4/3 sized camera with a smaller sensor? I don't get it..but 10 fps at full resolution, a 2.7 crop factor, the option of using existing Nikkor lenses, it could be fun but these cameras are expensive... way too much money for a fun camera. We all wait with bated breath for a 4/3 camera or better yet, an X1 or X100 with interchangeable lenses and they come up with this? Okay, well then, congrats on making a camera consumers and prosumers are not going to want. This sensor size will make a lot of sense to me if Nikon invest in a line of built-in lens cameras. I can imagine how people would start to look at Nikon they having all their P&S built around this sensor. Interchangeable dark lenses and no stabilisation in-body, pff, what a joke. Bad investment since the beginning. ...even though competitors have(Sony) or going to introduce(Fuji) cameras with phase detection-AF with instant image/video capture. ...even though Pentax offers a similar micro-sensor system. Can't get it even from raising-profits point of view. New system should exterminate all P&S sales to make it true. "Nikon shares rise as Nikkei suggests mirrorless launch" - well, new system already makes some sense for company shareholders... Not sure, is this good for company customers? "Aren't "Facebook shooters" using iPhones? Didn't Nikon forget to put 3G, 4" touch screen and android in their new cameras? ;)"
I can't tell if this is going to be a successful system or not but I can find a few problems and I don't agree that the smaller sensor is an advantage or even a good move. Design - I like it but is very "industrial", don't seem made for the masses. Sensor size - too close of the compact cameras that can fit a 10x zoom, and are smaller, cheaper and .... eventually with less IQ... will people care?! 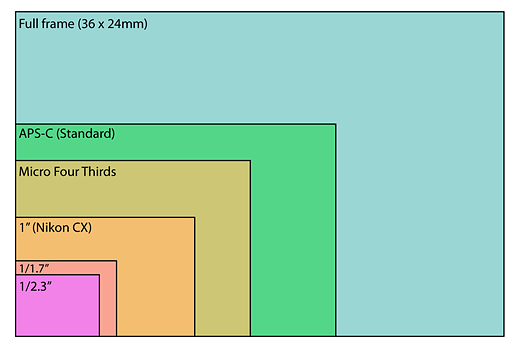 Image quality - Nikon is probably the best in their DSLRs but with a sensor of this size they will lag behind. Timing - too late, Sony and Olympus are leading the way. Compatibility with DSLR system - put the adapter you want, with a 2.7x crop factor, just seems wrong. Versatility - People that want a bit more than "point and shoot" knows that DOF control is of great importance. What a joke! They are years behind PANASONIC, SAMSUNG, OLYMPUS and especially FUJI with these tiny little sensors! Wait for the Fuji X10, this should be a REAL camera. How come you didn't mention Sony? They use the largest sensor AND they probably have a better video mode. Since when did smaller sensors do better than larger sensors? Nikon fan posts: "Today. Since the V1"
So it seems that the Rangefinder remains alone at the top of the mirror less designs. In interchangeable lens P&S - big deal. I'll pass. Sensor size is a non-issue, or soon will be. The inherent technical quality of a 4x5 negative will always beat 35mm. We still moved from Speed Graphics to Nikons. Negative quality was not the pivot point in our decisions. Do you think Nikon doesn't remember? We're at the point of diminishing returns on sensor quality when we have to push bench tests to ISO 800 or 1600 before we see a meaningful difference between sensor sizes. That's like Tri-X vs. Plus-X, man! 10 FPS full-feature shooting? Near-instant AF? A bag full of lenses and bodies half the bulk and weight of today's? One photographer in the right place at the right time, with one camera, one family of lenses, able to sell both stills and motion... We'll see V1s on football sidelines and at news events, and we'll follow. This is how Nikon created the era of the SLR. They'll keep supporting the legacy format, too. Folks will switch whenever they're ready, and not before. But, flippin' mirror, you're the weakest link. Goodbye! A small camera can have a larger sensor, but still can't match a large camera with an even larger sensor. It's a circular argument. Smaller sensor is to larger sensor as Tri-X is to Plus-X. All other things being equal, who wouldn't prefer the finer grain and extended tonal range of Plus-X or the larger sensor? But all things are rarely equal. Lower light? Faster action? The balance tips towards Tri-X. Maybe the small sensor camera turns out to be the right tool for certain jobs, too. I happen to think the V1 may be such a tool. This is the classic locker room debate. When all else fails, haul out your megapixels. That would be an 8x10 view camera with a 1.5 GB sensor, right? Your whole argument is imaginary, as there are already cameras with bigger sensors that are NOT any bigger than the Nikon 1 stuff. I'd totally follow you if Nikon had actually produced a smaller, lighter camera with less protruding lenses, but they haven't. On the contrary if you look at the latest release Panasonic 18-42 lens, which is a zoom as flat as a pancake lens. smaller sensor does have smaller body and lens size and cost and nikon designer is not stupid. maybe nikon want to show how much they improve in lowering size and cost in short period. wait 3 months, comes j2 with 50% smaller and cheaper. i do love smaller sensor, using 4/3 and waiting for a suitable mirroress. Perhaps the problem is that most companies have to go where to money is. Nikon is here braving the market with a product that emphasises something the rest of the market doesn't: a bridge between video and still imagery. Totally seamless. While I'm not in the market for this kind of camera, I will be interested in seeing what kind of reception the market will give this system. If Nikon manages to carve out a new niche in the photography market then I'm also very interested in where this is going to lead. Like watching them launch the D1 all those years ago, which has ultimately resulted in cameras still using a similar system as the D1 did but with IQ that totally beats the pants off the original D1. Very interesting developments! Carve out a new niche??? Hello! =) The Sony NEX cameras have been around for how long now? Sorry Nikon, this turkey ain't gonna fly! It appears Nikon is trying to protect its existing DSLR (and perhaps lens) products. This is exactly the kind of stay-in-the-20th-century strategy competitors like Sony, Panasonic and Olympus want the top two incumbent DSLR manufacturers to follow. Let's hope Canon is not as dumb. I actually don't care what Canon does. They don't do color right as far as I'm concerned. Fuji, now that's a company that knows how to make pleasing colors. Nikon and Sony are ok too. can't get it, this is just ridiculous. What the hell took you five years of development to come out with such a poor and totally overpriced coolpix stuff??? The whole system is dead on arrival. Those who wanted high-quality mirrorless will not buy it because it doesn't fit their needs and those who are satisfied with lower IQ won't buy it because they can't afford it (or get better for less by the competition). Hello - goodbye, V1. Not even quite at the top of the DSLR heap and already conservatism and protectionism seem to be rearing their ugly heads in the strategic positioning of these mirrorless offerings between compacts and DSLRs in terms of price and IQ performance. I don't regret at all having chosen m4/3 for my compact cameras. My GF2 has it all over these Nikons in terms of portability, image quality and lens options. I'm simply not interested in ever-smaller sensor sizes. I've yet to see that approach result in better image quality rather than worse. Seems like a bit of a yawn to me. The 1" sensor is bigger than what's in enthusiast P/S cameras such as the Canon S90, but the interchangeable lens design screams for a better sensor than 1". What I want is the 1" sensor in a nice, small P/S body for better low light performance and better image quality. That would make more sense, and represent a breakthrough in the enthusiast P/S market. Instead, we get this. I think you're reasoning is sound. As Nikon considered getting into the MILC game, what benefit would it be to jab a finger, as it were, into the eyes of the current players? It's too early to say that thiis new system is a dog, and maybe it will fill a niche for those who want to be more serious about photography, but not too serious, and must have the name, Nikon. Is DPreview starting lose its impartiality? This article just looks like a defensive puff piece on behalf of Nikon. If it was not, we'd have seen an article *before* this camera was thought of, saying how 1" is the sweet spot for small interchangeable lens cameras. This is *not* intended as a whinge at DPreview, which IMHO is a great site with great reviews. Just expressing a slight concern is all. The article explicitly doesn't represent our point-of-view - it's an explanation about why it might make sense strategically for a company in Nikon's position. It makes clear that choosing the smaller sensor is likely to have an impact on image quality. And I doubt Nikon would appreciate the cynicism of suggesting that it doesn't hurt the company if some camera buyers end up confused about mirrorless cameras because of the range of sensor sizes. I DON'T WANT "MIDDLE GROUND"! I want a top notch sensor without the bulk of a dSLR, and that's accomplished by using an APS-C. Abandon the dinosaur parts (mirror & pentaprism) and the old 35mm F-mount and reengineer the system around the APS-C (like Sony did). I'm still puzzled why Nikon has not filled this niche. Why do they make me buy an SLR to get an APS-C? I waited until the Panasonic G2 to buy my first serious digital camera because dSLRs are too fat and don't fully utilize the benefits of digital because a mirror is in the way. I was hoping Nikon would make something BETTER than the G2 by using an APS-C. Instead they gave me smaller. I don't want smaller - the G2 is a wonderful size (actually, it's similar to my old Nikon FM-2). Looks like I'm stuck with M4/3rds for now. It's not bad, however, especially since I found an adapter that lets me use my old AI-S lenses, and the Panasonic digital manual focusing tools are excellent. It also has a great many customers with significant investments in its F-mount system, who are unlikely to appreciate any sign that Nikon is anything less that 100% committed to the F-mount for high-end photography. If you accept that Nikon has to produce a competitor in the mirrorless market, you would also have to conclude that it would want to do so in a way that wouldn't risk jeopardizing its DSLR sales. Translating that towards MicroFT, I would say that apparently, DPR is of the opinion that using the same size sensor in MicroFT and in regular FT can be seen as a sign of non-commitment to FT (or to SLRs in general), and as a sign that the FT-partners are willing to jeopardize their mirrored sales for the benefit of mirrorless segment. What I said about Nikon is is would have reason not to do anything that its users would interpret as a lack of commitment to the F-mount. I think it's fair to say that many Four Thirds users did indeed interpret the launch of MFT as lack of commitment to FT. Which is why Olympus has repeatedly said it is committed to the mount. I think that writing has been on the wall since shortly after mFT appeared. Panasonic has all but ditched (discontinued?) their L-series SLRs with no replacements in sight...and how many FT products has Olympus announced the last couple of years? But FT didn't have decades of legacy FT lenses/accessory sales behind it so instead they create some adapters to help bridge FT buyers towards their new mFT equipment. Plus, F-mount is viewed as Nikon's strength with millions of loyal, longtime customers with significant sales of high-dollar pro-level glass, while FT adoption was rather tepid, and I imagine their high-end glass (though very good quality) never sold in great numbers, even before FT appeared on the downswing. These aren't the cameras you're looking for... move along now." Dear Nikon/Dpreview, less excuses more camera. Only thing I can see going for this system is the introduction of dual core processing power which enables the camera to do more or less gimmicky tricks when it comes to taking pictures. I like the AF improvements but that's about it. You know Nikon there are still some laws of physics which cannot be broken when it comes photography. Like the relation of DOF and sensor size. Like the relation of HIGH ISO performance and sensor size. Low light performance seems like a joke. Have you guys seen what NEX-C3 and NEX-5N can do in low light with higher ISOs? I sincerely hope that this system will fail with Pentax Q so that these big players must re-think their game, and come up with something truly relevant and great in the near future. This confirms that my hopes for a larger sensor superzoom were dust in the wind. Never, will manufactures build the perfect camera even if the technology for doing so is readily available. Profit will always dictate the product!!! I am sorry to say that I must agree. 10 years ago camera-engineers were allowed to do their best even for point and shoots (given the cost limits), while today we often see good design ideas being thrashed (probably by the marketing departments). My almost 10 year old Canon S45 has useful features missing even on higher end SLRs today. It can only be explained by marketing strategies. Only the very top-of-the line SLRs seems to be equipped with some of the useful (but inexpensive) features. Unfortunately, camera marketing today seem to focus more on uninteresting features like face recognition, fancy colors etc. May be because many people are happy with the image quality by todays average Point&Soots. I did find it amusing how these small sensor Nikon cameras came with a complementary explanation on why the concept behind them may seem "odd" but really, you must believe us, its not. The "explanation" being that if they were better specified they might take sales from other Nikons who offer better image quality, which kind of confirms that the concept is... odd. We'll make a mirrorless camera but we'll make sure not the image quality is not too good in case people wont buy our good cameras. Odd. And by the way can Pentax have a link to this page so that even the potential buyers of the Q can benefit of this enlightening? So basically Nikon is going to capitalize on the ignorance of the market segment they are targeting? That doesn't sound like something Nikon would traditionally do. More of a Sony thing yet they are the only ones with a high end APS-C mirrorless. Go figure. Unfortunately, today everything is about money and short-term profiting. One can put the blame on the marketing managers as they are the ones playing on people's ignorance, and who don't want to listen to the engineers - a perfect recipe to destroy a brand's name. Well, I don't think those "ignorant" users are going to plop down that much money before asking someone with more know-how, and something tells me that those with more know-how will not recommend this system until Nikon makes it better. ...and we'll all be happy together!